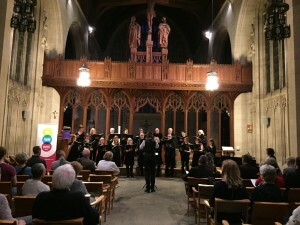 It was wonderful to be back at St. Monica’s in Cote Lane Chapel after well over a year since our last performance there, for Out There Music Bristol Chamber Choir’s Spring Concert. Set amongst the beautiful surroundings of St. Monica’s gardens with sweet smelling and vibrantly colourful blossom wherever you looked, it is always a privilege to perform in the chapel. 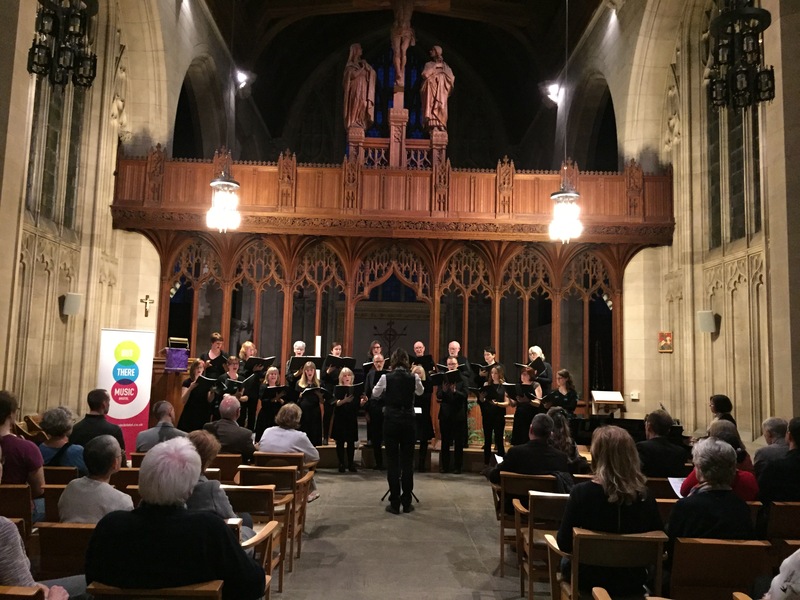 Such a beautiful venue with wonderful acoustics and the music in this year’s programme worked particularly well in the chapel’s surroundings. The chamber choir opened the concert with Tomás Luis Victoria’s O Vos Omnes, music composed for such a setting and which reverberated perfectly around the high ceilings of the chapel. Next was Tavener’s transcendental Love Bade Me Welcome before the first set closed with Paul Patterson’s always enchanting Salvum Fac Populum Tuum Domine. We then had the pleasure of hearing from the evening’s very young piano soloist! She passed Grade 8 long ago and was a joy to listen to, playing Chopin in her first set and leaving the audience both thoroughly entertained and captivated with her playing that was far beyond her years. 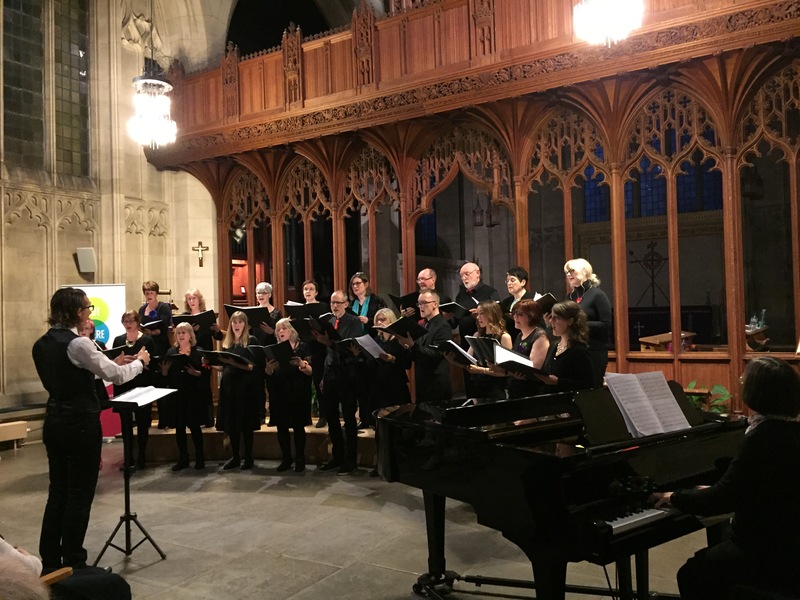 The choir’s second set began with the mesmeric Magnificat by Arvo Pärt, a difficult piece to both sing and conduct but which couldn’t have gone better! Then the lovely tonic of Flow Water by Irish composer Damien Kehoe before finishing with two movements from Morten Lauridsen’s Lux Aeterna, the Introitus and O Nata Lux which are always real audience favourites and which the choir carried off with great skill and poise. Our young piano soloist entertained us all once more with some Haydn before the choir rounded the evening off with Bob Latham’s superb arrangement of the traditional spiritual, Were You There?, a lovely rendition of She Was Beautiful, a magical performance of Billy Joel’s classic And so it Goes, before the concert finished with a rather skillful arrangement of the Lenoard Cohen classic – but Jeff Buckley version – Hallelujah. 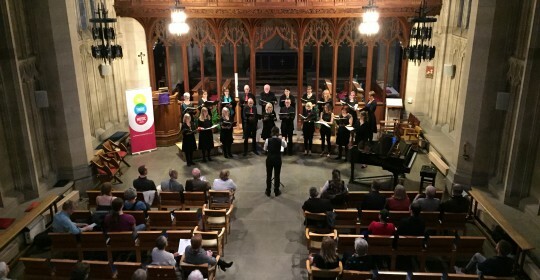 It was a lovely evening so thank you to everyone involved, especially the Chamber Choir and I’m also pleased to say we raised £112 for Changing Tunes in the process so thanks to everyone who donated.